In the Autumn of 1985 Dr Clark Cameron, a sociologist, and his wife Sharon, introduced Reverend Robert E Detzler to the psychological therapy method they called Response Therapy. Cameron was intrigued by the work of Davis Cheek and Leslie LeCron who had written about the ideomotor response in their book "Clinical Hypnotherapy", stating that such a response was extremely valuable in locating hidden messages that were causing their clients physical, mental and emotional problems in their daily lives. Once the hidden pattern was revealed, it could be cleared, or eliminated. An ideomotor response is a physical signal, such as a finger lift or eye movement made by the subconscious in response to a direct question. In "Techniques of Hypnotherapy", LeCron specifically identified the pendulum as a tool that may be used with the ideomotor response, without the need for hypnosis. Cameron thus devised a remarkably effective system using his pendulum and eight key phrases (or areas to research) to correct subconscious problem areas for his clients. Stories of the healings and life changes resulting from Cameron's work greatly interested Robert Detzler and he scheduled himself for clearing work and invited the Camerons to do two mini-workshops at the church for further testing of the Results system. Robert Detzler then persuaded the Camerons to teach it to him and to a number of others. Despite initial disapproval he began using it, with great effect, as his primary method of counselling within the Unity Church. Detzler subsequently added spiritual aspects to the method together with more keys and developed fan-shaped charts to speed up the work. He began writing about the system in a book which was titled "Your Mind Net" and later changed to "The Freedom Path". His work and requests for classes increased until he resigned from the church in May of 1989 to devote himself full-time to his expanded version of the clearing work, which he called Spiritual Response Therapy. By this time, he had about eighteen charts and a fledgling study group seeking incorporation recognition as a church in California. In 1990, Robert Detzler moved to Washington state and, together with his wife, Mary Ann (who had taken the Cameron's second teaching class), he began a series of presentations, lectures and classes to various dowsing bodies in the USA. In November 1994, at the World Healing Exhibition, he introduced SRT to the United Kingdom and at the same event in 1995 taught his first basic SRT workshop. The Detzlers have travelled extensively to teach this important work and through an established network of International Consultants and Teachers, Spiritual Response Therapy has now spread internationally to Venezuela, Colombia, UK, France, Holland, Czech/Slovak Republics, Hungary, Poland, Germany, Austria, Greece, Spain, Australia and New Zealand and Malaysia. His books and charts are currently being translated into Chinese, Korean and Russian for possible future classes. 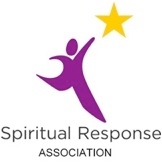 Rooted in love for SPIRIT, and celebrating the Oneness of all life, the Spiritual Response Association has blossomed to become a truly international association of Light Workers.